1. WITHOUT YOU (88 BLUES). 2. AN AMERICAN IN PARIS BLUES THEME (88 BLUES). 4. TO BEAUTIFUL TO LAST (100 TANGO). 5. MY KIND OF GIRL (100 SCHOTTISCHE). 6. YOU DECORATED MY LIFE (100 SCHOTTISCHE). 7. BOTH FOR EACH OTHER (100 WALTZ). 9. SLEEPING BEAUTY WALTZ THEME (120 WALTZ). 10. MY RIVAL (12O WALTZ). 11. THE MISCHIANZA WALTZ (138 WALTZ). 12. THE SONG FROM DESIREE (138 WALTZ). 13. UNDER THE DOUBLE EAGLE (100 MARCH 6/8). 14. MEDLEY-THIS IS MY COUNTRY & WHAT A COUNTRY (100 MARCH 6/8). 15. 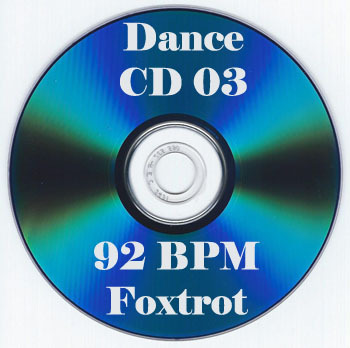 YOU KEEP COMING BACK LIKE A SONG (92 FOXTROT). 16. THE WINDS OF CHANCE (92 FOXTROT). 17. YOU MUST LOVE ME (EVITA) (96 TANGO). 18. IT ONLY TAKES A MOMENT (104 FOXTROT). 19. 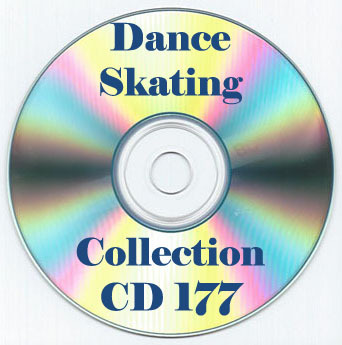 BLACK HAWK WALTZ (168 WALTZ). 20. VALENCIA (104 MARCH 6/8).